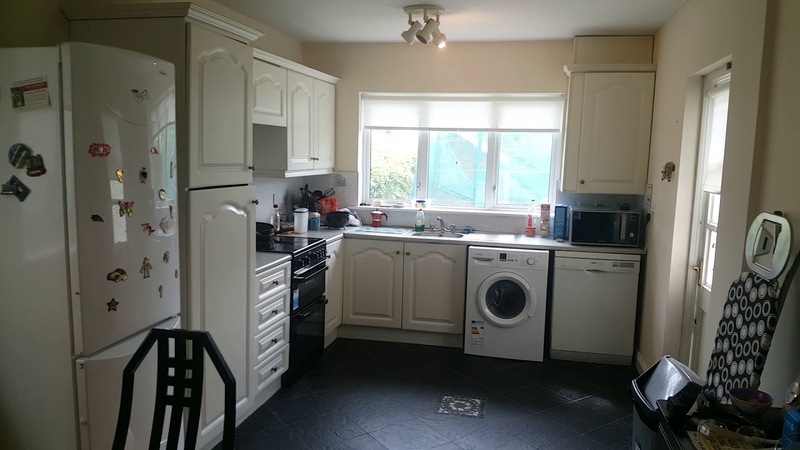 There is a room for rent in this spacious house on Orlagh Grange in Knocklyon. This 150m² home offers a fully equipped kitchen and dining area, a furnished living area with sofas and a TV, and a big backyard. There are 2 bathrooms, one is ensuite and for the exclusive use of the tenant. You will be located in a peaceful residential area to the south of Dublins city center. There are buses nearby to help you get to where you need to be, and many lovely parks within walking distance. The backyard is very spacious and a great place to relax on sunny days. There is parking available at this house. A washing machine and dryer are available for your laundry needs. You will be in a quiet and peaceful residential area. There are various bus stops nearby. The Scholarstown bus stop, which serves bus 15-N is a 7-minute walk from the apartment and new 175 Bus route service directly to UCD. Living in this lovely area with a big backyard is almost too good not to share. Luckily, you will be living with the 54 year old landlord who works as an accountante. He has daughters who sometimes stay at the house on weekends. enjoys to kick around the footy.